Jesse McCartney Talks to KPF: His New Gig, New Movie, New Music and His WANTED list for a Girlfriend! 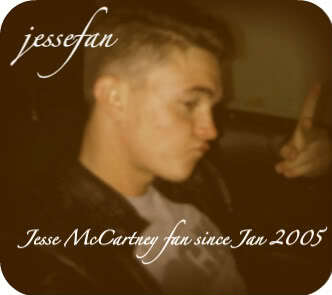 Jesse McCartney's talents are endless. The 24-year old singer/songwriter makes music you hum all day ("Leavin'"), voices animated characters that are always memorable (like Theodore in the Alvin and the Chipmunks movies) and takes acting roles that are always compelling (Andy in "Greek" is a fan favorite). Now, Jesse is a singer-actor-perfumer! Jesse talks to KidsPickFlicks exclusively about the girl who inspired his fragrance for women WANTED BY JESSE, what he looks for in a girlfriend, and his upcoming movies and music! How would you describe your fragrance WANTED BY JESSE? "WANTED has a wild citrus/musk aroma; a distinctive alluring scent with lots of energy in it. I hope the ladies who wear this fragrance feel loved, appreciated and definitely...WANTED." How did you pick out the aromas to make your fragrance WANTED BY JESSE? "You know, I was on tour in Europe and I met this girl who was amazing. She was fun, full of life and unforgettable...all the qualities I WANTED in a girl - the fragrance was inspired by her." Thousands of girls want to date you! What qualities do you look for in a girlfriend? "I'm really pretty laid back, so someone who likes to do simple things and who is very comfortable in her own skin. Someone who is down to earth and has a vision of what she wants to do in the world to create something special." You do a lot of voice acting in animated movies, including voicing Theodore in Alvin and the Chipmunks. Do you and Theodore share any personality traits? "Yes, actually, I am very family-oriented like Theodore...and I also like to eat like Theodore does." Since they speed up your voice for Theodore, do you have to talk slow or do anything different when you're recording? "Yes, I have to speak both higher and more slowly than normal when recording Theodore while keeping the emotion and inflection in the lines of the character while I do it. So - it can sound a little weird when we are recording. They then take the lines and speed them up so it sounds like Theodore the chipmunk." You voice Huxley, the Monster Boy in the upcoming animated film THE CLOCKWORK GIRL. What did you do differently with your own voice for the character? What made you want to be a part of this film? "This is a great story! I used my natural voice for Huxley with no enhancement of it like in Alvin and the Chipmunks. The animation and artistry of the characters in Clockwork Girl I thought was so amazing that I wanted to jump on board with this movie." When you're voicing an animated character, is it usually just you in the studio? You've got some pretty cool castmates, like Amy Poehler and Raven Symone. "Yes it is usually a solo recording session. Sometimes we record as a group but not often. Since we usually read at different times, you have to know your character and be able to identify with it without any outside influence. I voice Robin on "Young Justice" for the Cartoon Network and sometimes when all the superheros record at the same time as a group, that can be very fun and get pretty raucous." Of all your acting roles, which character do you think is most like you? Which character do you think would be one of your best friends (if any)? "I think I would be most like Theodore because he appreciates family, fun and especially eating good food like I do! He is also very loyal, which I think is a noble trait." We love your music! What is your next single? "I'm currently in the studio and am working on some really great stuff. ...stay tuned!"